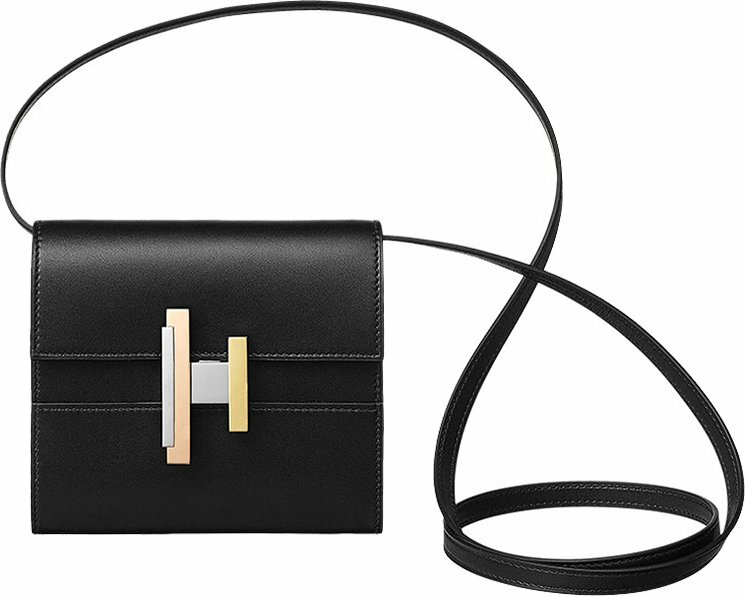 Hello Hermes Cinhetic Clutch With Strap, you’re oh-so-gorgoeus. Now the Cinhetic Bag is the latest addiction in the fashion world and it was first-seen on the Spring Summer 2017 runway. 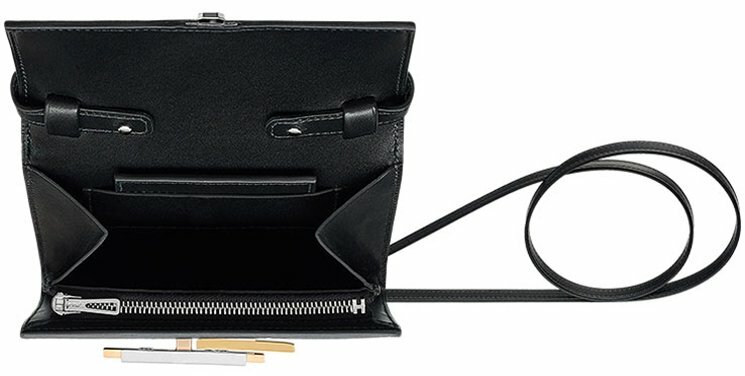 Last time we’ve talked about the clutch version without the strap, but little did we know that it’s also available with a strap. Now this latest edition is even more beautiful because the modern-styled H logo is larger, sharper en more attractive. The Cinhetic Bag appears to be heading straight to become the house’s next iconic. Just take a look at the style. It’s streamlined and crafted with a minimalistic body. It’s chic and at the same time modern. 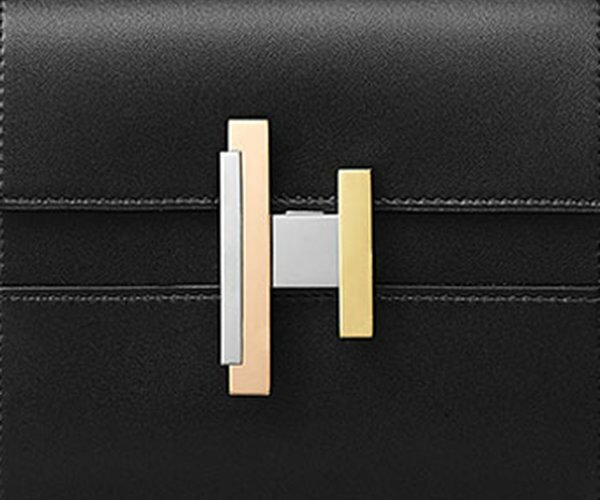 The center H logo clasp is new and refreshing. The logo is longer on the left and shorter on the right, which is just pure work of art. If you zoom-in closer to the logo, you will see more amazing stuff. The hardware is make-up in three colors; silver, gold and rose gold. These three colors make the H logo shine and special. This bag is made from luxury leather; it’s called Villandry Calfskin, which is uniquely Hermes-crafted leather. What’s more? It’s refined with a triple-finish zip and a long leather strap so you can sling it on your shoulders. Spin the H clasp to open the bag. So what can you find in the inside? It’s made with two compartments and one including a zip. There is also a patch pocket. 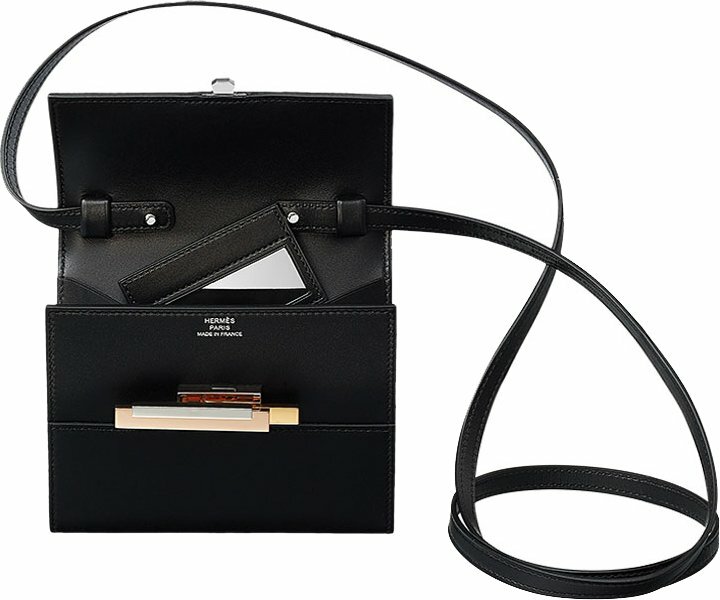 This Cinhetic Clutch With Strap is a small handbag, so it can only hold your vital essentials. Measuring 12.3 x 11 (L x H) cm, priced at €3500 euro, £3210 GBP via Hermes boutiques.